Under the Old Covenant sin separated people from God, under the New Covenant sinners HAVE BEEN reconciled to God. Christians run around trying to get people to feel guilty for their many sins…but God has ALREADY FORGIVEN the sins of the whole world through the atoning sacrifice of Jesus Christ. All are forgiven their trespasses – they just do not know it or believe it. The Gospel is not about sin–it is about God’s grace and His free gift of justification given freely to all people. Many quote Rom 3:23 ‘all have sinned and fallen short of the glory of God’ but seem to forget that the passage goes on to say next that all are justified freely by His grace through the forgiveness of sins found in Jesus. Yes all have sinned and fallen short….but THAT SAME ALL that sinned are being justified freely by His grace. Do you see that? For all have sinned….BEING JUSTIFIED FREELY!! The reason why God has forgiven our sins and given us His Righteousness is because ALL our best efforts at being righteous are filthy rags. SO God justified us all through the forgiveness/redemption that is found in Jesus Christ. It is a righteousness that is not earned by merit. It is His righteousness–the righteousness of God APART from the Law. Righteous is not something you can become better at. Righteous is not something you must work at. True Righteousness is APART from the Law- separate from all the striving of the flesh to keep the Law. Righteousness is a free gift and it is revealed through the Gospel “to all and on all” for there is no difference–for all have sinned. The fact that a Christian works hard out of ignorance of this freely given righteousness does not negate the fact that he HAS BEEN MADE THE RIGHTEOUSNESS OF GOD IN CHRIST JESUS. From God’s perspective that believer is Righteous and justified through faith alone. But from the believers perspective he or she will know much condemnation and shame as they strive to be good enough, trying to establish their own righteousness before God. Thus they set aside the grace of God and are trying to establish their own righteousness—when all along they already are righteous before God SIMPLY through having Jesus in them. So God’s righteousness is made apparent, is revealed and made manifest to ALL…that means all people(whether they believe YET or not)….and ON ALL who believe for there is no difference; for all have sinned–thus all have been justified freely by grace. He is the Saviour of all people—all people shall be saved —because all people shall be dragged to Jesus(John 12:32 and John 6:44)and thus all people shall believe. “There is no difference” between you a believer and a non believer– God sees all people as redeemed and righteous before Him because of the blood sacrifice of Jesus. They are forgiven just like you are. You know it, but they don’t for the Devil has blinded their minds lest they believe and receive of His love. This line of thought is repeated again by the Lord Jesus in Romans 5. That translation of the last verse above makes out that all men shall be made righteous as a future event. 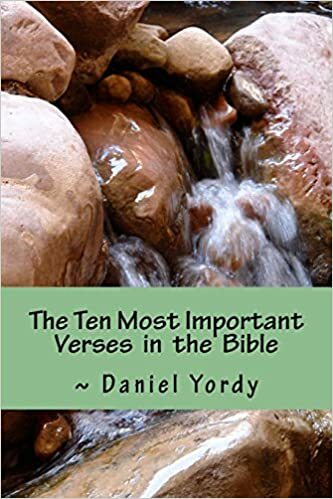 It uses the phrase many will be made righteous….Yet just as Adam’s sin made all his SEED sinners because they were all subject to death–that is they were all born as MORTALS. So through JESUS obedience those same sinners(ie EVERYONE) has BEEN MADE RIGHTEOUS. Rom 5:19 for as through the disobedience of the one man, the many(ALL) were constituted sinners: so also through the obedience of the one, shall the many be constituted righteous. Rom 5:19 For as through the disobedience of the one individual the mass of mankind were constituted sinners, so also through the obedience of the One the mass of mankind will be constituted righteous. The translators were not entirely honest with this verse. The Greek word (Strong’s number G2525) kathistēmi appears twice in the sentence and has been translated as were(past tense) and will be(future tense). Thayer says kathistēmi means: 1d) to constitute, to render, to make,to cause to be. Rom 5:19 For as through the one man’s disobedience the many were made sinners,were rendered sinners, were caused to be sinners, were constituted sinners, even so through the obedience of the One the many were made, rendered, constituted and caused to be righteous. And do not forget that “the many” MEANS ALL PEOPLE!! Yet Christians have not seen this great grace filled truth. Instead we have held people in their sins–which God HAS ALREADY FORGIVEN. We want people to feel guilty so that they will repent of their sinning. Yet the act of repentance is a change of mind about Jesus Christ. Instead of pushing Him away we change our mind(repent) through His grace and come to Jesus. These men had hated Jesus and rejected His claims to be the Messiah. Peter tells them to change their mind about Jesus and show it by being baptised in Jesus name. He let them know that they had crucified Jesus and the Holy Spirit convicted them of that for sure…..but the repentance was not so much about killing him as about His claims to be Messiah, The Son of God. Repentance is a free gift from the loving Father and it is not only about feeling bad over your sins but about SEEING THE LORD JESUS AS YOUR SAVIOUR who died on the cross for your forgiveness and rose from the grave for your justification. It’s God’s KINDNESS that leads us to repentance. Preach Good News to people. Treat them like brethren before they believe because God has forgiven them and redeemed them and made them righteous by the FAITH OF THE SON OF GOD. See NO ONE according to the flesh ANY LONGER….But see all people–The Many–as God has made them—RIGHTEOUS AND FORGIVEN–REDEEMED BY HIS BLOOD. Refuse to see them as filthy sinners, for that is the Old Covenant and the Accuser’s territory. Why do you think sinners flocked to be with Jesus? It certainly was NOT because He was trying to bring up their many sins and failings. He loved them as His own, for they are His own. Previous Previous post: Does many mean all?